Mike Greene - mgreene@shawmedia.com Crystal Lake resident John Kutcsh, executive director of the Thorium Energy Alliance, displays an example of the amount of Thorium it would take to power all an individual's power needs for a lifetime Thursday, April 12, 2012 in Crystal Lake. 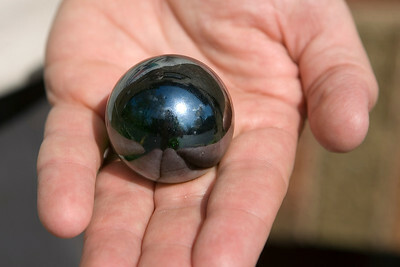 A "ball" of Thorium this size could power an individual's car, heating, electricity, and travel need for a lifetime. Mike Greene - mgreene@shawmedia.com Crystal Lake resident John Kutcsh, executive director of the Thorium Energy Alliance, displays an example of the amount of Thorium it would take to power all an individual's power needs for a lifetime Thursday, April 12, 2012 in Crystal Lake. Mike Greene - mgreene@shawmedia.com Crystal Lake resident John Kutcsh, executive director of the Thorium Energy Alliance, displays an example of the amount of Thorium it would take to power all an individual's power needs for a lifetime Thursday, April 12, 2012 in Crystal Lake. 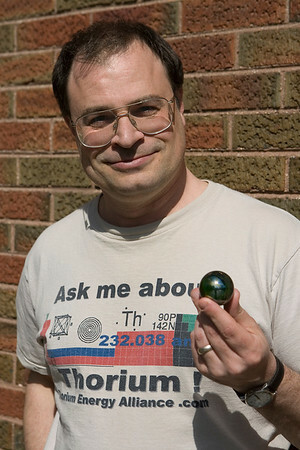 The Thorium Energy Alliance is an advocacy organization with over 1,000 members which focuses on educational advocacy. Crystal Lake resident John Kutcsh, executive director of the Thorium Energy Alliance, displays an example of the amount of Thorium it would take to power all an individual's power needs for a lifetime Thursday, April 12, 2012 in Crystal Lake. 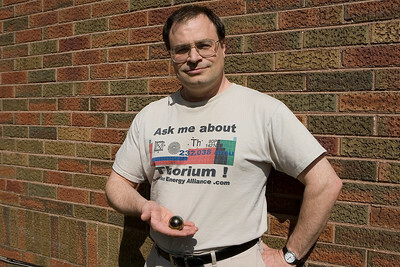 The Thorium Energy Alliance is an advocacy organization with over 1,000 members which focuses on educational advocacy.